The Outbreak Narrative: What has changed this time around? EDITOR’S NOTE: Points is delighted to welcome past guest contributor, Jessica Diller Kovler (check out her previous post here). 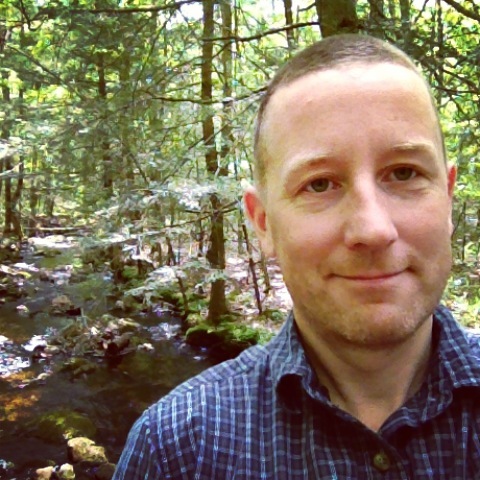 Kovler is part of the History of Science program at Harvard University and currently teaches at John Jay College of Criminal Justice, the City University of New York. Her work has appeared in The New York Times, Forbes, and Discover magazines. Unless you’ve had your head buried in the sand for the past month, you’ve undoubtedly thought of the recent Ebola outbreak. Even if you have a background in public health, you would probably avoid the New York bowling alley visited by Dr. Craig Spencer (even though the City shut it down the day the news of his illness hit the papers). You’re probably using extra Purell, even though we’re relatively knowledgeable about the pathogen’s mode of transmission. News reporters have scrambled to assemble our patient zero. Even our most liberal friends are arguing for shutting down the borders. We are blaming and looking for answers. As my grandfather would ask at our Passover Seder: “Manishtana?” (What has changed?) As a social historian, I wonder what makes the societal response to Ebola any different than our collective response to the Black Death, typhoid, polio, and HIV? In the past few weeks, people have compared the response to Ebola to the first cholera pandemic of the early-19th century, the 1918 Spanish Flu epidemic, the polio epidemic of the first half of the 20th century, and AIDS in the early 1980s. 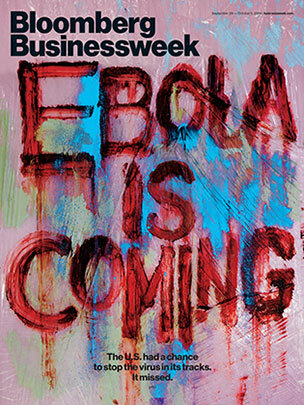 Perhaps, as some have argued, there is a formulaic narrative in how we respond to outbreak of disease. But does this narrative also apply to epidemics involving alcohol abuse (or, in the case of the disease I’m about to describe, suspected alcohol abuse)? 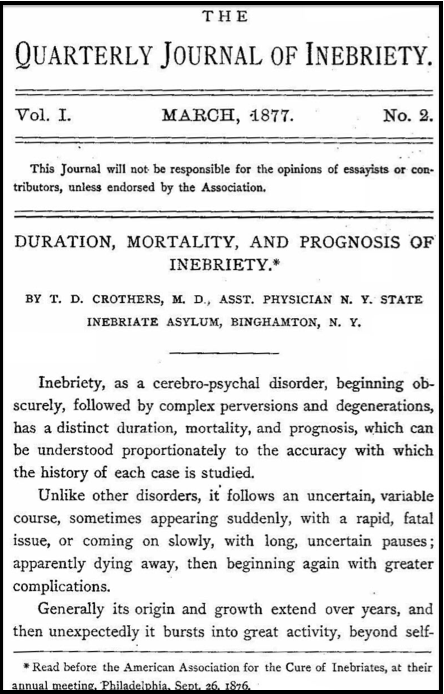 Yet the history of Encephalitis Lethargica is more than the tale of a forgotten epidemic. It is an illness narrative evoking shifting socio-medical paradigms in the second half of the 20th century that is uniquely tied to the sociomedical response to alcoholism. Editors Note: This post is from Contributing Editor Michelle McClellan. 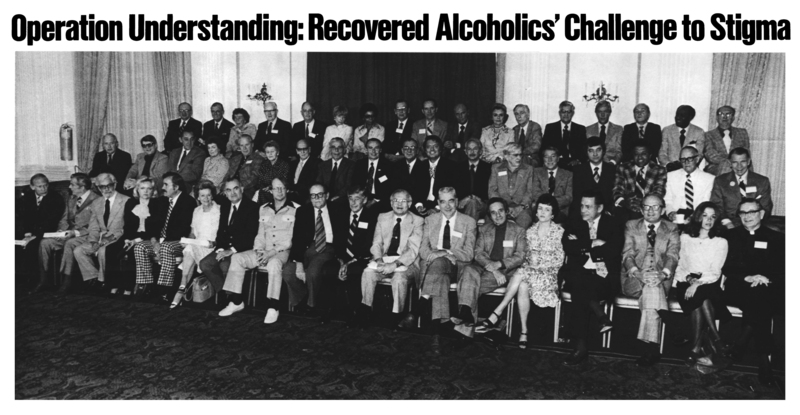 In May 1976, more than fifty people—celebrities and professionals from various fields—announced at a carefully staged press conference that they had recovered from alcoholism. The event had been organized by the National Council on Alcoholism (today the National Council on Alcoholism and Drug Dependence) as part of its annual conference. In 1944, Margaret “Marty” Mann had disclosed her own drinking problem and founded the NCA to persuade Americans to regard alcoholism as a public health matter. On that May day more than thirty years later, actors, politicians, journalists, sports figures, physicians, lawyers, pilots, clergymen, even an astronaut and an “Indian chief” (Sylvester Tinker of the Osage Nation) participated in “Operation Understanding.” Arrayed in alphabetical order on risers in a hotel ballroom in Washington, D.C., each person stood, announced his or her name, and then added, “I am an alcoholic.” Consistent with the mission of the NCA, the event planners hoped to reduce the stigma associated with alcoholism, demonstrate that alcoholics come from all backgrounds, and encourage those who struggled with their drinking to seek help. Editor’s Note: This post is from contributing editor Michelle McClellan. In my last post I reflected on the complicated backstory of feminism, intoxication, and vulnerability, specifically in relation to campus culture today and efforts to prevent sexual assault. I speculated whether there could be such a thing as “damp feminism,” a way to allow, even encourage, women’s pleasure while still accommodating gender-specific risks. I’m not sure exactly what this would look like but I want to keep thinking about it and welcome readers’ thoughts. Here, I muse on what seem to me to be several important factors: the complicated developments of the 1970s, including the women’s health movement; feminist resistance to essentialist thinking; and the role of advocates. 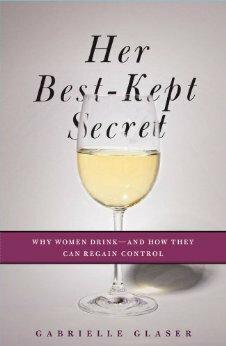 Editor’s Note: Author Gabrielle Glaser offers some quick comments about her new book, Her Best-Kept Secret: Why Women Drink — And How They Can Regain Control (Simon & Schuster, 2013). A few years ago I started noticing a big shift in the way women talked about their drinking. 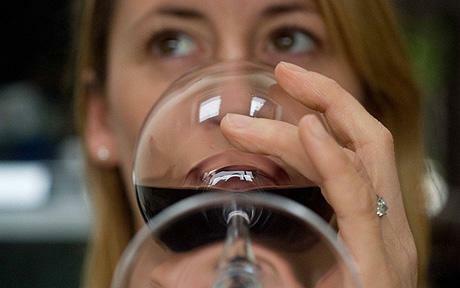 Sometime in the early aughts it began to appear as a cultural trope — women “needing” wine. I looked into why that was, and if it could be substantiated by facts. I found some numbers that were pretty convincing. I have always been intrigued by our country’s weird relationship with alcohol. My grandfather was a Canadian bootlegger and always said he had been in the “thirst” business. He was an amazing storyteller and his tales of driving whiskey across the border in the dark of night really stayed with me. 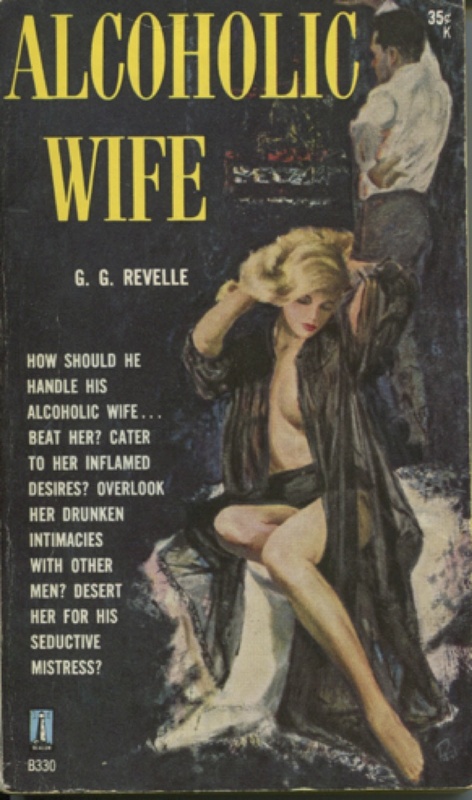 I wondered how we had gone from prohibiting booze to Real Housewife Wine, and tried to tell that story. Hey, most of what I know I learned from you guys. But the marketing of wine to women in the 1950s and 60s is something I had to piece together, and that was amazing. The pamphlets urging vendors to “Market to the Housewife! Explain Why She Needs Red Wine!” and the wine industry surveys are particularly charming — a piece of the puzzle. Also, the idea that women began making wine, and pleasing their own taste buds, was also interesting. (Women were behind the making of Chardonnay, which was easy for women to like — it had a smooth mouthfeel and was sweet.) Likewise, marketers helped to demystify it. I grew up at a time when only men would get the wine list, and the cork. It was intimidating. No more. Oh, I loved the history, but that’s my thing. I spent hours with Axel Borg, the wine librarian at UC Davis (how fabulous is that? He’s a fantastic librarian in general but he knows everything about the history of California winemaking), and learned so much about the rocky road of wine acceptance in the US. I also had a blast looking at colonial booze recipes. Who wouldn’t want to come across Martha Washington’s recipe for “Capon Ale”? Every time I got frustrated with my lack of progress, I’d look at that recipe and laugh. Helen Mirren or Kathleen Turner. They haven’t asked yet. 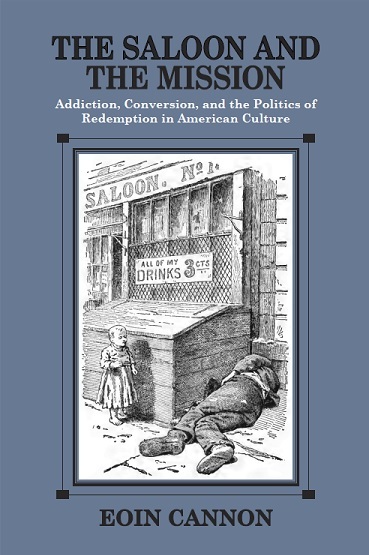 Note: Points’ managing editor, Eoin Cannon, favors us, today, with an interview on his just-out, new book, The Saloon and the Mission: Addiction, Conversion, and the Politics of Redemption in American Culture (University of Massachusetts Press, 2013). BTW, Big Congratulations, Eoin! Sorry, barkeep, but this book is about people who ceased to need your services and then made a realllly big deal about it. It’s about how and why people have told stories of recovery from alcoholism publicly since the late 19th century. I focus especially on the legacies of the “drunkard’s conversion” testimonies given in urban evangelical missions and circulated widely in print from the 1880s to the 1910s. Despite their roots in old-time religion, these stories’ urban class dynamics made them compelling to those who saw the knot of poverty, ethnic difference, and vice as a modern social crisis. In personal voices and realistic slum settings, the drunkards’ conversion stories defied the irreversible fates associated with these categories. The practical understanding of salvation they offered also made such tales susceptible to a wide range of interpretations. So instead of seeing conversion stories as individualistically oriented distractions from structural injustices — as skeptical readers today might — many reformers, artists, and intellectuals in this period retold them as stories that modeled a wider social healing by the lights of a variety of social theories, from radical to reactionary. In the context of this contested discourse around the meaning of the drinker’s redemption, literary writers through the modern period told stories of alcoholism with high stakes. The drinker’s descent was a character-based crisis, but one that plumbed modern society’s perceived maladjustment and, possibly, harbored clues to its regeneration. This programmatic approach to redemption shaped the storytelling conventions available to the budding recovery movement in the 1930s and beyond. A.A.’s pioneers subsumed the contested aspects of the form into a recognizably Depression-era revision of the self, one that understood the limitations of individualism in social as well as in spiritual terms. In mutual-aid circles, these stories could remain highly pragmatic, devoted to A.A.’s “primary purpose.” But public recovery stories since the rise of A.A. have taken the social ethic of mutual aid beyond twelve-step culture and out into the wider society. These stories often depict recovery as the solution to a social problem or even as the model of an ideal society. As such, they have tracked the progress of liberalism since the New Deal era and, I argue, helped to shape its redemptive ethos in the realm of culture. So while we may not openly contest the meaning of the modern recovery story, preferring to accept that it simply describes how a sick person got well, the story form is so constructed as to embody foundational claims about the self and its relation to others. If we as a society don’t agree on those claims, neither will we agree on the meaning of recovery — arguably a dissensus increasingly in evidence since the 1960s.